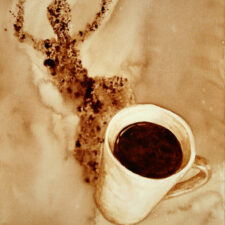 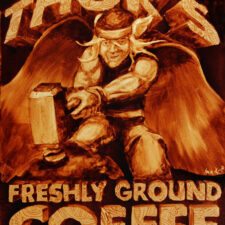 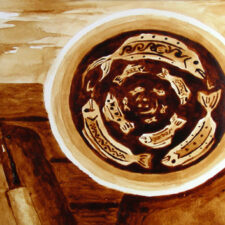 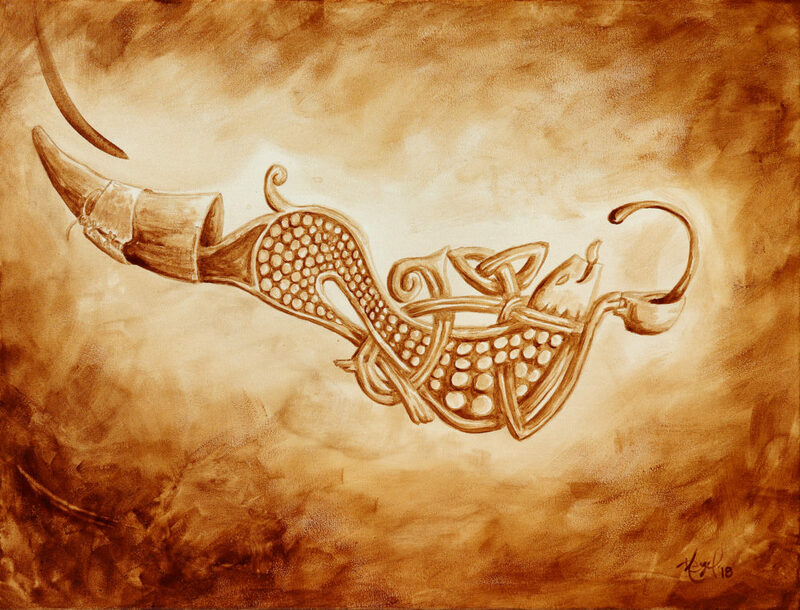 Angel Sarkela-Saur created this original “Nordic Elixir” Coffee Art® painting. This image features coffee flowing and transforming into a Viking Dragon out of a cup. 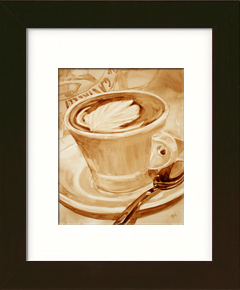 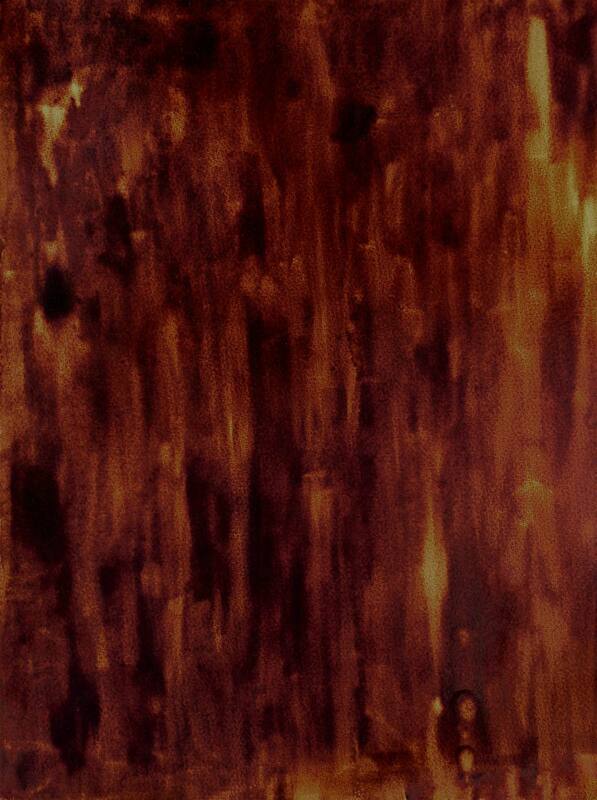 This framed painting is 24″ wide by 18″ tall.